Original Mattress Factory also known as OMF eGift Cards are now available for you to purchase. 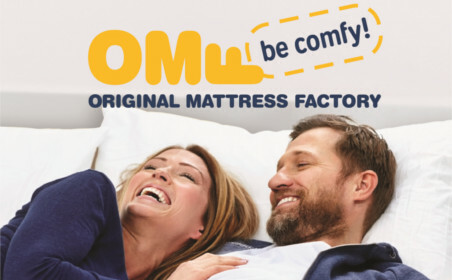 With a great range of top-quality mattresses, including the Bed in Bag range, accessories, and bedroom furniture, an Original Mattress Factory (OMF) online Gift Card is the perfect gift for anyone looking to get the most comfortable nights sleep. An Original Mattress Factory (OMF) eGift Card will easily suit those on a budget, looking for a classic style, needing orthopaedic support, or looking for memory foam or a latex mattress. An OMF eGift Card from Prezzee can also be redeemed for bed bases, bedheads, bed frames, bedroom furniture, pillows and bedding. OMF is Australia’s fastest growing mattress store - with 46 stores across NSW, Qld, Vic & ACT. Your gift recipient can redeem their gift card in-store and access the 100 Night Comfort Guarantee, comprehensive warranties, and expert staff. Your giftee can choose to redeem their Gift Card online or instore and get the same benefits from the OMF staff. You could spend hours stressing over whether to buy something useful or that they will like or you could let them do the hard work instead by treating them to a OMF digital online Gift Card from Prezzee, which will give them a world of choice and save you a lot of time! What’s more, by choosing an OMF eGift Card from Prezzee, your gift card is ready to send in moments after your order, so they’re absolutely perfect for last minute gifts. Choose from SMS or email delivery – all gift cards are stored and managed digitally, meaning no lost or worse still, gift cards that have expired because you’ve forgotten all about them. Your giftee will have 24/7 access to their wonderful gift right on their mobile phone – how thoughtful is that! ?